Could your smile be helped with orthodontics? 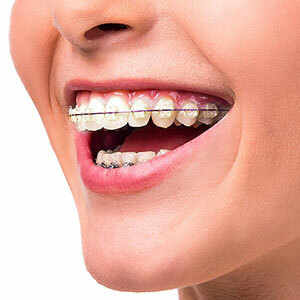 Braces offer an effective way to straighten and realign your teeth, whether you're a child or an adult. 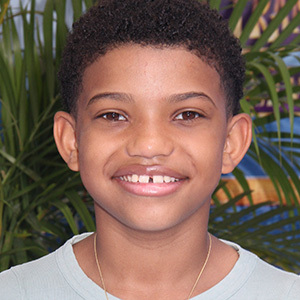 The dentists at All Smiles in Worth, IL, improve their patient's smiles with orthodontic services designed to enhance the function and appearance of the teeth. Are braces a good idea for me? Are Concerned About Your Appearance: Crooked or overlapping teeth can lead to self-esteem issues. It's difficult to feel confident if you don't feel comfortable smiling or opening your mouth in public. Braces re-position unruly teeth, completely transforming your smile. Have a Bite Problem: Orthodontics are frequently used to correct underbites, overbites, crossbites and open bites. In addition to affecting the appearance of your smile, bite problems may also lead to several unpleasant problems. Increased stress is placed on your jaw when your upper and lower teeth don't fit together properly. 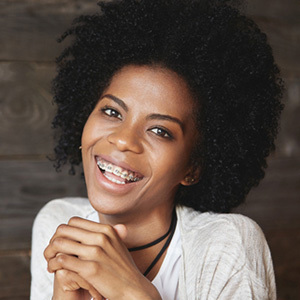 If the problem isn't corrected with braces, you may develop temporomandibular joint disorder (TMJ), a condition that can cause jaw pain and stiffness, headaches, earaches and difficulty opening and closing your mouth. Enamel erosion, receding gums and cuts to your cheeks and gums may also occur if you have a bite problem. Suffer From Spacing Issues: Too much or too little space between teeth can affect your appearance and your bite. If you have gaps between your teeth, your Worth dentist can devise a treatment plan that will close the spaces. Lack of space can result in crowding and overlapping teeth. Fortunately, the problem can be easily corrected with orthodontics. Notice That Your Teeth Have Shifted: It's not unusual for teeth to change position as you grow older, even if you previously had a perfect smile. Whether you choose ceramic or metal braces or Invisalign, orthodontic treatment offers a simple way to restore the smile you remember. Experience Trouble Speaking or Chewing: Your teeth help you pronounce words clearly. When they're misaligned, people may have trouble understanding you. Eating may also be more difficult when you have an orthodontic problem. Depending on the extent of your problem, you may have difficulty tearing or chewing foods. Braces will have a positive effect on your speech and your ability to eat. Enhance your smile with orthodontics. Call dentists at All Smiles in Worth, IL, at (708) 448-0333 to schedule an appointment.